From 1990 to 2000, fishermen seeking swordfish off the coast of California accidentally caught and killed over 100 leatherback and loggerhead sea turtles , and injured many more. Since then, the number of turtles killed as bycatch has plummeted, but a handful of animals still die from being entangled in fishing nets each year—too many, environmental advocates say. And at the same time, the closure of the giant oceanic region means the once-$15 million swordfish industry has become a $2 million industry , and the number of boats plying the waters has decreased significantly. The first paper to suggest that pelagic fish—the fish that live in the open ocean and are often impressively migratory—should be guarded with fluid, ever-changing zones of protection, as opposed to static ones, came out in 2000. Larry Crowder, professor of marine ecology and conservation at Hopkins Marine Station, part of Stanford University, remembers reading it and thinking, “Cool idea, but it’ll never work.” In the year 2000, scientists didn’t have the computer capacity to cheaply test statistical models or process satellite data with any semblance of speed. Nor did they have enough data tracking fish or satellite data on ocean conditions. That’s all changed. 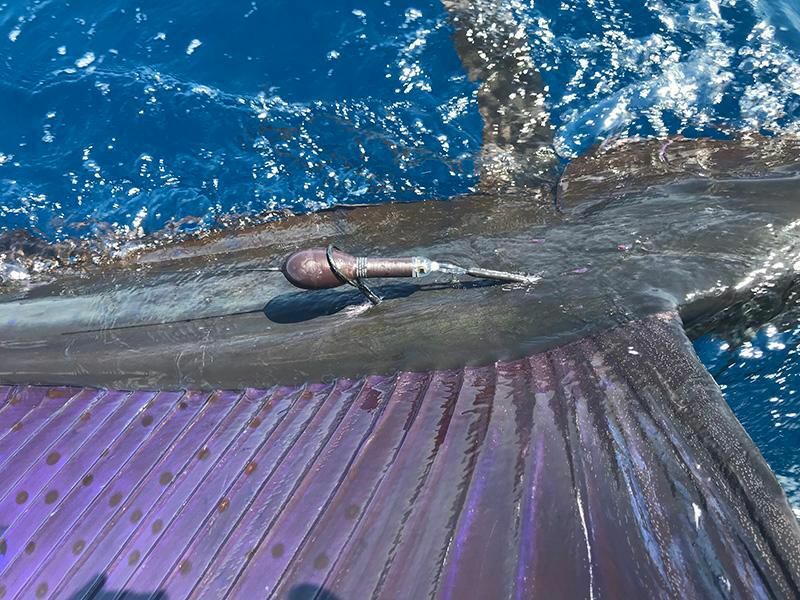 Now scientists can download oceans of satellite data in minutes, and the development of pop-up satellite archival tags, which researchers attach to fish to track their movements, has allowed the study of large marine animals like tuna, swordfish and sea turtles. Combined, it’s a technological revolution that’s allowing scientists and fishery managers unprecedented abilities to forecast where fish will be—and where bycatch won’t be. In a nutshell, it works this way: Scientists first collect data on where a fish or other “target species” can be found, by tagging the species, collecting reports from fishing boats, or other tracking methods. Then they compare that data to weather conditions, the time of year, and any other data that can be sensed remotely. “If there's a good statistical relationship …that matches up with where these animals are likely to be, you can use remotely sensed oceanographic data to forecast where they are likely to be,” Crowder says. For example, California sea lions prefer cooler water near the coast, while leatherback turtles congregate near what’s called an upwelling front, where two different water masses converge and bring nutrients closer to the surface. Both sea lions and leatherbacks are harmed when they’re caught as bycatch by fishing boats targeting swordfish, which hang out all along California. "We can't protect these animals from humans by using [static] protected areas," Crowder adds. "If you closed the areas where loggerhead turtles are known to go, you'd close the entire Pacific Ocean." But if you use weather data and statistical models to show that loggerheads prefer certain water temperatures, you can just close regions of the ocean that are those temperatures, changing it day by day. Crowder and colleagues at the National Oceanic and Atmospheric Administration used their data collected over more than two decades to develop a tool called EcoCast , which shows fishermen a daily map where there are more swordfish than bycatch. Statistical modeling showed that if fishers had used EcoCast during the 2012 and 2015 fishing seasons (years chosen for their averageness and exceptional warmness, respectively), they could have fished in at least 125,000 more square miles than were open to them, without significant risk of hurting turtles. Getting swordfishermen to actually use the tool is another question—so far, its data is advisory-only. But it’s in nobody’s interest to force the fishery to close because of too many interactions with endangered species, Crowder says. Similar tools are being developed to protect other species. Researchers at the University of Delaware have created a mapping and modeling tool to help fishermen targeting smaller commercial fish like croaker and bass avoid the endangered Atlantic sturgeon—a win-win, since the massive fish, which average 300 pounds, would destroy nets built for smaller prey. In the Pacific Northwest, the ocean nonprofit Oceana is working on a system that would temporarily close a Dungeness crab fishery—or ban certain types of gear—based on reports of whale movements from whale watching fleets. Elsewhere, dynamic ocean management tactics are having more success. NOAA's Pacific Islands fisheries center has been providing a daily map , called TurtleWatch, to help the swordfish industry avoid turtles north of the Hawaiian Islands for about a decade. The data NOAA collected found that half of all turtle "interactions"—when a turtle is snagged on a fishing line or caught in a net—occur in a narrow band of water where the temperature is between 63.5 and 65.5 degrees Fahrenheit. NOAA publishes the map roughly every day as a guideline to help fishing vessels know where to direct their boats. "This is a really unique product that helps fishers avoid turtle bycatch," says Todd Jones, lead scientist on NOAA Fisheries' Marine Turtle Biology & Assessment program. TurtleWatch, combined with new regulations on types of fishing gear, helped reduce turtle interactions in a 400,000-square-nautical-mile area from 400 a year to 10. But TurtleWatch is partially a victim of its own success. As turtle interactions have gone down, fishers have stopped worrying about the likelihood of catching a turtle—and so have been fishing in the temperature bands where turtles are most likely. That means that the fishery has hit its hard cap of turtle interactions two years in a row—when that happens, the fishery is immediately closed for the rest of the year. But this ban, too, is a form of dynamic ocean management. 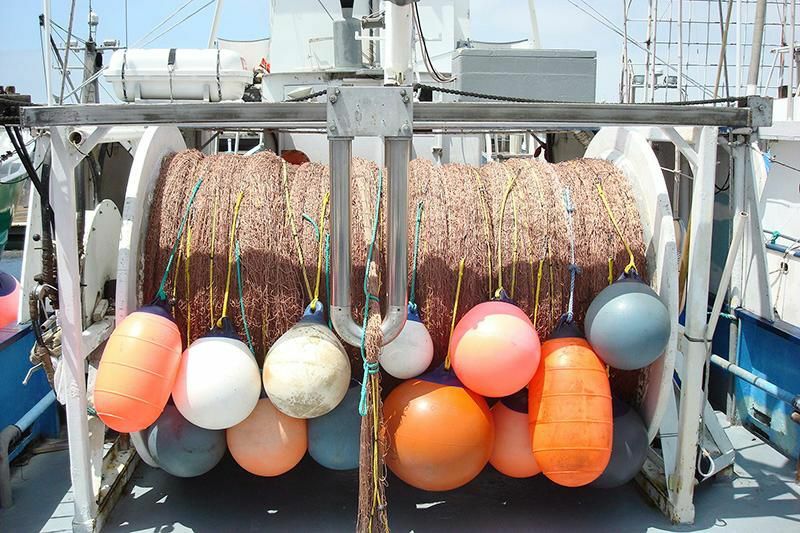 Shester says the state’s drift gill net fishery is expected to transition to a type of gear called deepset buoy gear, where a baited hook is dropped over a thousand feet into the ocean. "During the day, swordfish are swimming at [that] depth, largely by themselves," Shester says. "So basically deepset buoy gear is a dynamic closure." If fishing vessels were required to use gear that plunged 1,200 feet below the sea, that's equivalent, he says, to a dynamic closure of the sea surface. "And that's based on the movements of these animals." Shester says you can think about dynamic ocean management as a spectrum of options. You can have indiscriminate fishing gear, used at a specific time, place or season, when only one species of fish is around. Or you can have very targeted gear used at indiscriminate times. "We have to stop thinking in two dimensions when we talk about protected areas. You can get into three dimensions, because depth is such an important factor. It's time, it's area, and it's depth." "This is not a panacea," he adds. 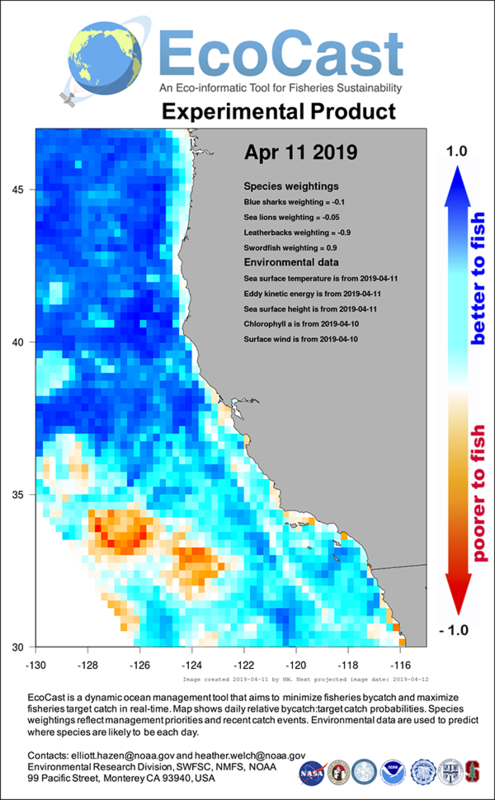 But "what dynamic ocean management will do is open up a whole set of opportunities to finally address bycatch problems while saving fisheries. It's finally going to give us tools to solve these problems using technology."